سواءً كنت مسافراً بغرض السياحة أو العمل, أميتي أبارتمنت ساوث يارا هو خيار عظيم للإقامة خلال زيارتك ملبورن. يقع الفندق على بعد 2 km من مركز المدينة، ويؤمن الوصول إلى أهم مراكز المدينة. يوفر الفندق بفضل موقعة الجيد وصولاً سهلاً إلى أهم معالم المدينة.
. استمتع بالخدمات الراقية والضيافة التي لا مثيل لها بهذا الفندق في ملبورن. يمكن للنزلاء الاستمتاع بالميزات التالية: واي فاي مجاني في جميع الغرف, مرافق مخصصة لذوي الاحتياجات الخاصة, تسجيل وصول/خروج سريع, تخزين الأمتعة, واي فاي في المناطق العامة أثناء إقامتهم في هذا المكان الرائع. بالإضافة لهذا,تتضمن كل غرف الضيوف مجموعة واسعة من وسائل الراحة . بعض الغرف توفر حتى مناشف, مرحاض إضافي, غرفة معيشة منفصلة, تلفزيون بشاشة مسطحة, صوفا لإرضاء أكثر الضيوف تطلباً. سواء كنت من محبي الرياضة أو كنت تتطلع لتفريغ عناء نهار صعب، ستجد خدمات ذات مستوى عالي بانتظارك كمثل مركز للياقة البدنية, حمام سباحة خارجي. يشكل أميتي أبارتمنت ساوث يارا بخدماته الراقية وموقعه الممتاز، قاعدة مثالية للاستمتاع بإقامتك في ملبورن. سيتم حجز مبلغ تأميني مسبق من البطاقة الائتمانية بقيمة 300 دولار أسترالي عند تسجيل الوصول لتغطية أي رسوم أو مصروفات عرضية خلال فترة الإقامة. Staff on reception outstanding, could not do enough to help us. Very pleasant hotel spacious room, clean and good facilities. On spite of noises outside rooms very quiet. Good value, really enjoyed our stay here. Thoroughly recommend. Dear Edward, Thank you for taking the time to review our property on your recent stay it is great to hear that you found the reception team outstanding and enjoyed your stay. 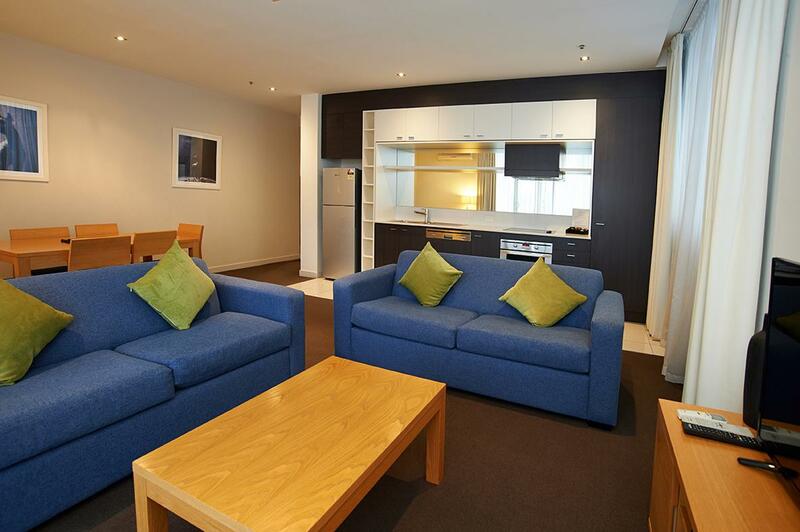 We look forward to welcoming you back to Amity Apartment Hotels when you are next in Melbourne. Very near train station and trams. Great shopping and restaurants nearby. IGA supermarket next to the station. Asian supermarket just up the road. Parking (overnight fee $30) under the apartments. Staff very helpful and friendly. A great place to stay! Pros: - Very near South Yarra train station, tram stops, shops and restaurants. - We got a 1-bedroom apartment which had a spacious bedroom, living room, and kitchen. - Easy access from the parking to the room with both connected indoors. - Apart from the bathroom issue described below, the apartment was quite clean. Cons: - Toilet had a urine smell and needed to be kept closed all the time. I suspect the toilet bowl was not cleaned with the duck toilet cleaner. Even after informing the receptionist and the cleaning staff about this issue, nothing was done. - We were given a double bed but it was actually two single beds combined together so the middle of the bed was very uncomfortable. We had to get extra sheets to cushion ourselves. Dear Kin, Thank you for taking the time in reveiwing the property on your recent stay, it is great to hear that you found the property close to the station, tram stops, shops and restuarants. We are sorry to hear that there was a smell in your bathroom we have had a plumber come in and investigate the issue and it has now been resolved. Please accept our sincerest apology for any invconvience this may have caused you. Again thank you for taking the time in provding your feedback, it is this kind of feedback that helps us improve our property. Clean and tidy room. Nice staff. Good location. Thank you for taking the time to review our property on your recent stay. We look forward to welcoming you back when you are next in Melbourne. The rooms were large and well kept. Staff were friendly and nothing was a bother for them. The facilities were excellent. 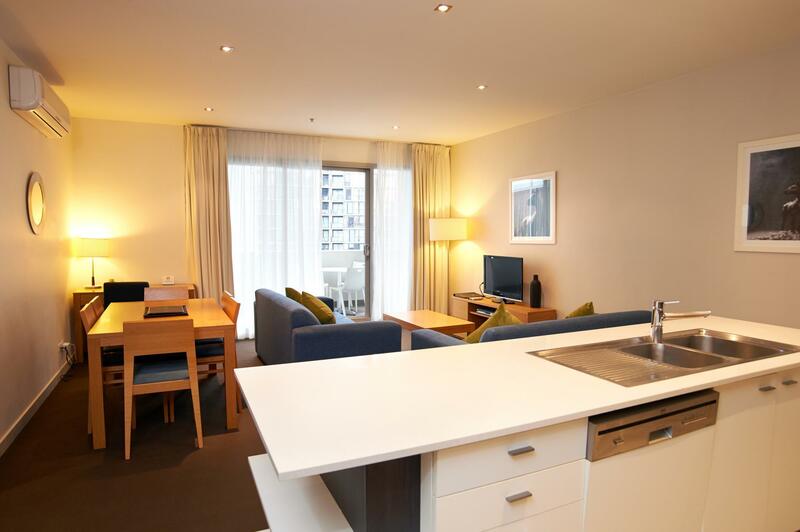 It has a great location very close to the tram and Train station which made getting around very easy. We had a car and parking was not a problem Very accessible to the main roads. Early morning walks were great along the river. Major stadiums were also within close walking distance as was the botanical gardens. Many comfortable restaurants within close proximity to the Hotel also. Very nice and boutique style property. Almost ideal location / i.e. very practical but not romantic. Pool is super small so don't count on tnat. Everything else is very good except they charge a lot for parking so please check first. Very handy to coffee, shopping and transport. Easy to use like home. Good facilities for relaxing on a night in. Some of the furniture and fittings were looking tired but still worked fine for us. Staff friendly and happy to help out. My family have stayed at this apartment twice. Feeling at home each time and is a nice & quiet place to put up. It’s convenient and within 5 mins walk there are shops and restaurants within your reach. Dear Chris, thank you for your review, we look forward to welcoming you back when you are next in Melbourne. Have stayed here many times over the years. In spite of re-booking for the past 5 years and 12 months in advance still allocated the apartment on the railway lines. Staff were inconsiderate when asking to be relocated despite our loyalty overbthe past years. Staff are very unfriendly - our booking was for 8 nights. Love the area but would never return to Amity again. Also due to construction would avoid the area for the next few years. Dear Norman, Thank you for taking the time in providing your feedback. We are sorry to hear that you found the staff unfriendly and inconsiderate. Please accept our sincerest apology for your experience. Amity Apartment Hotels will always do its very best to relocate any guest that is not happy with the apartment allocated to them, unfortunately over the period of your stay Amity Apartment Hotels was at 100% occupancy and was unable to relocate you. Thank you again for taking the time in providing your feedback. Great location and nice apartment however was charged for parking that was already included in the original booking. Charge to credit card was made without authorisation and only discovered by chance. Television in room was temperamental - didn’t work every time, particularly when using the remote. Disappointing. Close to South Yarra station and variety of restaurants nearby. Everything alright except the front desk receptionist treat us like we owe her money. The apartment was clean and comfortable but we need to walk through car park to access to our room. Location was very good, many restaurants, bars and convenient store and also train station nearby.